“How did the concept of ‘Sustainable Cities’ appear?”, “What are the strategies for low-carbon cities in urban planning?”, “Learning from folklores and traditions in urban planning”, “New towns around Shanghai”, “Public spaces in cities and functions of sidewalks, “Urban community”, “Land use and urban transportation”, “Urban design for public life”, ”Roles of inhabitants in urban management”, “Security problems in cities”, and “Green buildings for sustainable dense city”…. 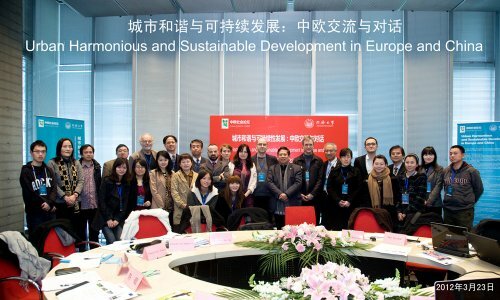 These were the topics discussed in the roundtable entitled “Urban Harmonious and Sustainable Development in Europe and China” which was held in Tongji University (Shanghai, China) on 23 March, 2012. The roundtable, initiated and supported by China-Europa Forum and organised by Tongji University, was a continued exchange of workshops T41a, T41b, T41d, T41e and T46c with themes revolving around City, Territory and Sustainable Development. Sixteen discussants from China, Europe and the United States with wide range background in architecture, urban planning, and sociology, participated in the discussion. “There are two key elements of urban development in Europe: the 1933 Athen’s Charter and 1994 Aalborg’s Charter. Between these two moments, there were 60 years of very intensive urban development in Europe. And beyond the 60 years, there is the complete inversion of main principles which are used to plan cities. It is interesting that the concept of Sustainable Development in Europe was not originated from academic network but from the political network. Europe, with fifty years of urban development, made a lot of mistakes, but there are also some lessons to be shared. China is an extremely dynamic laboratory of contemporary urban development, which is expected to find solutions for sustainable development in future. “New Towns have been created in Europe after World War II in response to an anarchic urban growth, a strong demographic growth and the congestion in major metropolitan area. The aim was to create a balanced territorial development. Challenges faced by new towns: the lack of good transport infrastructures, the lack of centrality, low urban density, the lack of a sense of community, the lack of architectural coherence, the need for regeneration, the growing number of an ageing population, and social exclusion. Priorities: urban regeneration, sustainable development and social cohesion. 2. Regional planning should be oriented by mass rapid transit (MRT). 3. Cities must be a bicycle-friendly environment with a well-established connection to the rapid public transit system. A city that abandons bicycles will lose its future. 4. Information and modern communication are crucial to create an effectively functional and flexible city. 5. A transit system is based on the Central Place Theory to the Inter Nested Theory in urban planning. 6. The development of large-scale public facilities should be tied into the public transport hubs. “The development of cities and towns are closely connected to the development of society as a whole. We agree that in this process, there are issues of the space justice which involves the sharing of natural resources (such as land and landscape), social resources (such as education and healthcare), urban renewal, demolition and relocation, as well as the protection of cultural heritage and the rights of residence and free movement. “It is crucial to combine education, research and practice in urban planning and design. It is essential to collaborate between disciplines. We work with the people at local communities and set up offices on site. We really need to respect natural and cultural heritage. A city needs fabric of streets, squares and parks, and a good finger ground relationship, good linkage, and good quality of place. “Sometimes, being at the edge may be stronger than being at the centre of the city. “With the increasing urban sprawl, a sound spatial distribution of urban population has become an important issue. It is also worth noting that the true Chinese population is much larger than the registered population shown in the Chinese household registration system (hukou). “The most important matter in China related to sustainable development is land resource limitation. In the past 30 years, the central and local governments have always tried to focus on how to save the land, though development in China has a lot of problems related to land usage. In the academic sense, the land use planning must be part of the urban planning, while in China, the land use planning goes before urban planning. “City management plays an increasingly important role in urbanisation and it seemingly has reached a turning point. In China, the urban management attaches too much to administration; while in most other countries, welfare is the top priority of city governments. It is proved that neither of the approaches works successfully. “In the beginning of the 21st century, for the first time in history, the world’s urban population (50.8%) was more than the rural (49.2%). 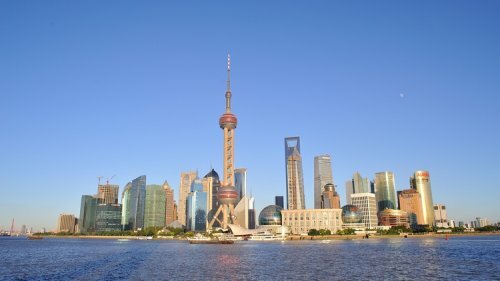 It is reported that the Chinese urbanisation rate has surpassed 50% as of 2011. However, there has been no single real ecological city in China so far. An ecological city is a city that provides acceptable living environment for their inhabitants without depleting the ecosystems and biogeochemical cycles on which they depend. I propose TEN essentials to be considered in eco-city planning: sustainable culture; energy and renewable energy; water resources management; landscape and nature; land and restoration; green transportation; community construction; the use of materials; waste; the management of information system. “The major problem of today’s urban planning in China is that we focus too much on spatial planning. Urbanisation in terms of space is much faster than the urbanisation of population. Currently, quite a few large cities in China are designed to become international metropolises while small and medium-sized cities seek to grow into national cities. Another problem is that cities throughout the country almost have a uniform appearance because everything is quite standardized.